Thierry Merlin was the first producer I started with, and he has been one of the most consistent. He works fourteen hectares of vines in Bué, one of the principal hamlets surrounding the old walled town of Sancerre. That town, once a Protestant stronghold, was sacked in the 16th century and again in the 17th during the Wars of Religion. 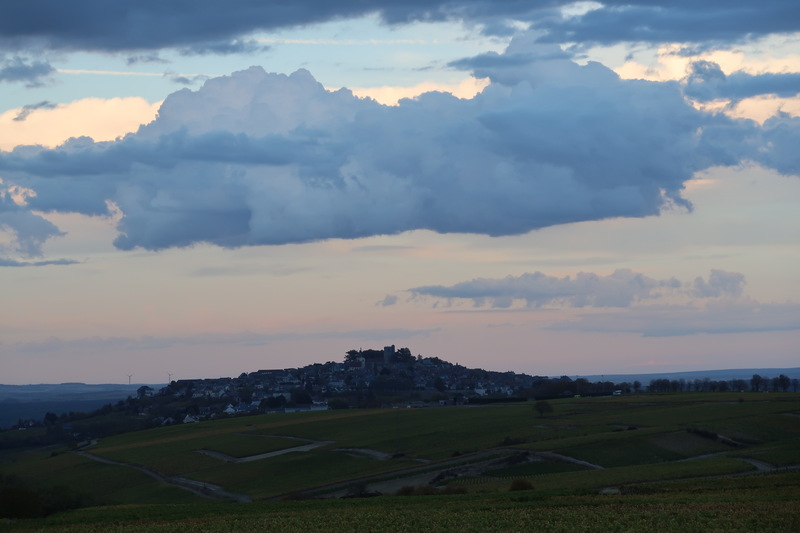 It was a stronghold because Sancerre commands the highest hill above the Loire River, rising above a landscape of hills on the east side of the river (the appellation of Pouilly-Fumé across the river has little of Sancerre’s muscular hills and dales). Bué occupies a small pocket canyon behind Sancerre, and the hills rising above this village on three sides are covered in vines. Bué’s soils are composed of Sancerre’s two main types: caillottes and terres blanches (the third important type is silex, or flint, and is restricted to a north-south fault line that runs right through the town of Sancerre). Caillottes, referring to stones, is a very stony, compact chalk without a lot of clay and marl. Geologically, caillottes is Oxfordian Limestone. It’s generally found on the lower hills and in the middle north-south zone of the appellation, and it predominates in Bué. This soil makes for perfumed, elegant wines. Terres blanches, or white earth (in dry periods, the seashell-rich soil turns white), is found on higher hills–it’s a younger soil type than Oxfordian–and dominates in the western arc of the appellation. Terres blanches is limestone pebbles and rocks mixed with a good amount of clay marls on Kimmeridgian limestone. The technical term for terres blanches is Kimmeridgian Marl. This soil makes for pointedly fruity, rich, long-lived wines. Bué’s wines tend to be influenced by the caillottes, making this hamlet’s distinguished whites recognizable by their broadly floral aromas, their finesse, and their precision. Such are Thierry’s wines. Quick to smile, hardworking, and a man of obvious intelligence, Thierry made his first wine in 1982 (superb in 2000!). He is the fourth-generation Merlin to farm vines and his fourteen hectares (35 acres) are divided between twelve (30 acres) planted to Sauvignon Blanc and two (5 acres) to Pinot Noir. These hectares are further divided into thirty parcels, all of which are in Bué except for three parcels in the commune of Sancerre and one parcel to the south in the commune of Veaugues. He works these vineyards side by side with two employees very closely—plowing and hoeing are standard here, as is careful pruning to create optimal spacing between vines and shoots to alleviate mildew pressure. 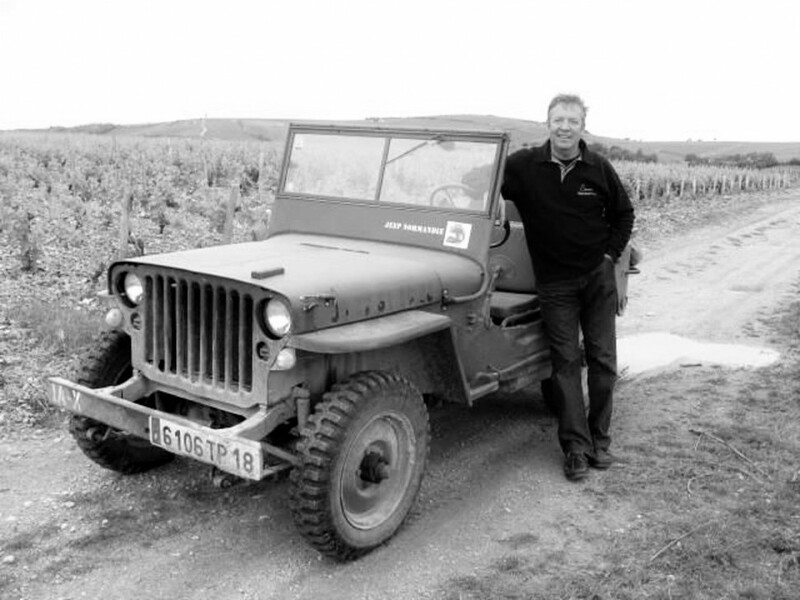 That’s Thierry in the photograph, standing in front of the 1942 Willy’s Jeep that he bought himself and restored for his 50th birthday. That Jeep almost certainly came to France via the Normandy beaches. As for the name of the domain, the property was passed down from Thierry’s maternal grandparents, named Cherrier. His father, a Merlin, married one of the three Cherrier daughters. Sauvignon Blanc The classique wine from this producer reflects Bué’s chalky terroir beautifully with its paradoxical generous precision (concentrated elegance might be a better way of saying this). This is a blend of parcels from both soil types totaling 11.16 hectares (27.5 acres). 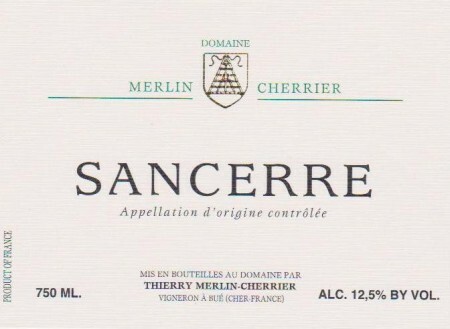 Sancerre rouge Pinot Noir This comes from five acres of Pinot Noir that Thierry planted back in the 1970s and '80s down slope on one of Bué’s hillsides. Specifically, on the northwest side of the village, north of and below the mound known as Chêne Marchand. The soil here has more nourishing clay than Chêne Marchand, which Pinot Noir likes. In good years, this wine is raised entirely in tank; in lighter years it may see some aging in older barrels. Sauvignon Blanc Chêne Marchand is one of the crown jewel vineyards of Sancerre and is the appellation’s outstanding example of Caillottes terroir. If ever Sancerre were to classify its vineyards, Chêne would be a certain candidate for grand cru status. The vineyard grows on the western plateau above Bué where the sun always shines if it is shining anywhere in the neighborhood, and this plateau has supported vines for many a century—possibly as far back as the Roman Occupation. There are higher hills immediately to the north in Bué where the terres blanches are; the mound-like Chêne Marchand comes off of them. 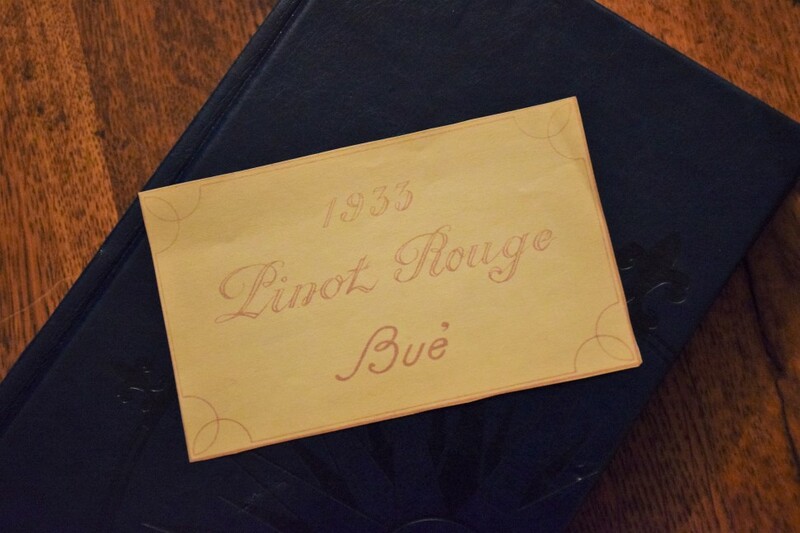 The name translates as wood merchant and one story has it that wine merchants conducted their business with growers under an oak tree that grew in the vineyard in the Middle Ages. Much more likely, it's a variation on Choix du Marchand, or choice of merchant, coming from the 18th and 19th centuries when the wine of Chêne Marchand was usually the top pick of the wines of Bué by that era's professionals. Chêne, by this account, refers to a path or route, a path that led discerning merchants to wine coming from Bué's most famous vineyard. 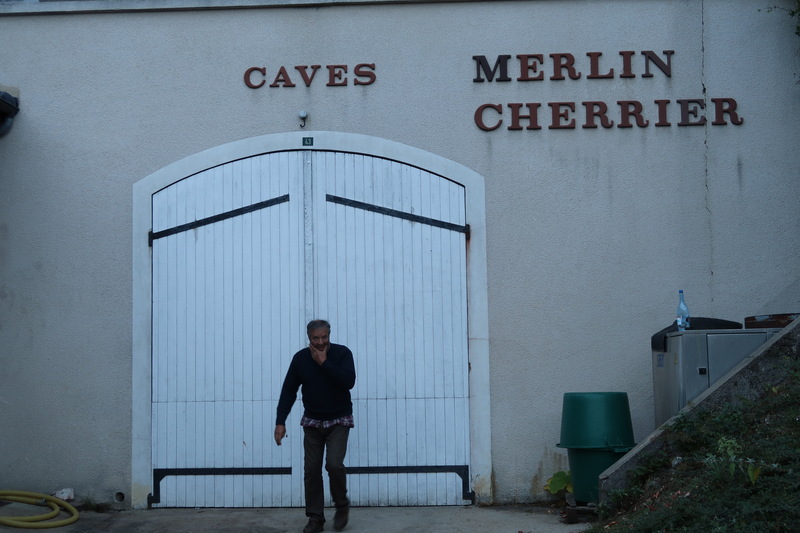 Thierry has two parcels in Chêne Marchand that total 0.84 hectares, or two acres (the surface of Chéne adds up to 30 hectares and makes up 10% of Bué's total surface of vines). The smaller parcel belonged to his grandfather, and was worn out by the time Thierry inherited it. He ripped up the diseased vines and planted various grasses and grains to replenish and aerate the soil, and he did this every year for an astonishing ten years. Today this parcel grows his best vines. Production averages 550 cases per year. The wine from his two parcels is made in vat and normally with native yeast, resting on its fine lees for 12 to 14 months. It is bottled without a cold stabilization (the wine can throw tartaric crystals—and would that more wine did as this is a sign of quality) and with a light filtration. It’s an immensely elegant, long, and mineral Sancerre. In riper years, the wine can be exotic with notes of white flowers, hazelnuts, and honey; in leaner years the minerality and length carry the day.